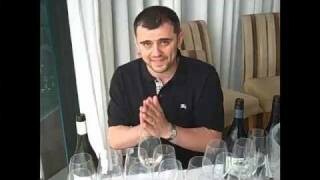 After many requests to do so, Gary Vaynerchuk reviews 6 offerings from Cameron Hughes Wines. Links mentioned in today’s episode. Old school episode with no messing. Just the smell, and the taste of several wines. I think GV would describe this effort as ‘focussed’. I just bought a couple of the very hard-to-find bottles of Lot 100 Cabs. Incidentally, the label above should say 2006 (not 2007) Cameron Hughes Stag?s Leap Cabernet Sauvignon Lot 100. Looking forward to trying these out at Thanksgiving. Gary, your review of the Lot 100 CH Cab was right on. I’m stoked that you rated the wine so highly. For my dollar, when I find a CH wine that I personally enjoy, I’m buying a case or more. Not every lot is of the caliber of Lot 100, but several other lots I’ve tasted (Lot 35, 110, 172 & 87 to name a few) were exceptional values at my local Sam’s Club store. Folks, if you find a CH wine you really like, buy a bunch because it won’t be around long. I just don’t understand wineries like Cameron Hughes. I can understand the requests to have their wines on the show just a smidgen more. Obviously when you put out any wine there is some amount of business involved. But when you’re just buying up grapes from all over the place and throwing out mass produced stuff it comes across to me that your blatantly trying to show that there’s no passion behind it at all. To me wine is about the passion involved in getting it from the vine to the bottle, and it speaking from the place that it’s from, etc. Wineries like that seem to me to be the antithesis of this.